We began using Angular 2 (now known as just Angular) when it was fairly new. One of our internal projects was in hiatus for a while, when we was ready to pick it back up again, Angular had jumped from version 2 to 4. Sometimes upgrading can be a bit of a nightmare, but luckily Angular had us covered with the docs and changelogs, we had to jump two major versions and it was lucky the docs are so detailed. For most people, running the following command will upgrade their dependencies and are probably good to go. 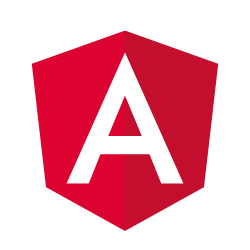 If you are upgrading an advanced Angular app, we recommend this handy tool put together by the people at Angular, it gives you a list of tasks that you should complete before, during and after an upgrade in Angular, from a variety of versions, all in one place. We did run into various NPM errors, including rxjs and zone.js packages, however this was resolved by installing the latest our Node and NPM versions. You will also have to replace obsolete Angular packages with their replacement ones in your app too, in our case there was many, including changes to the Angular Styleguide that we wanted to keep up to date with, these changes that we have outline below you may or may not have to change, depending on how old your Angular Project is. Where we had to import ROUTER_DIRECTIVES to use any routing directives, we now no longer have to so we removed them from the imports and component configuration.